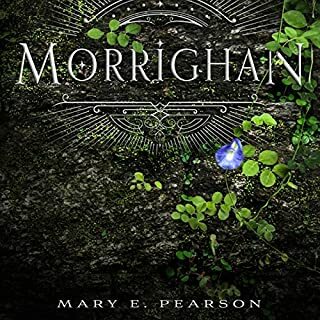 Dreading her first day at a new school, Alex is stunned when she walks through a doorway and finds herself stranded in Medora, a fantasy world full of impossibilities. Desperate to return home, she learns that only Professor Marselle can help her...but he's missing. 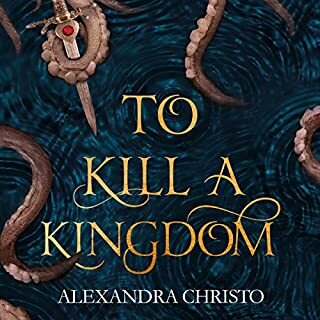 While waiting for him to reappear, Alex attends Akarnae Academy, Medora's boarding school for teenagers with extraordinary gifts. Fun listen, motivated to hear sequel. "The Near Witch" is only an old story told to frighten children. If the wind calls at night, you must not listen. The wind is lonely and always looking for company. There are no strangers in the town of Near. These are the truths that Lexi has heard all her life. 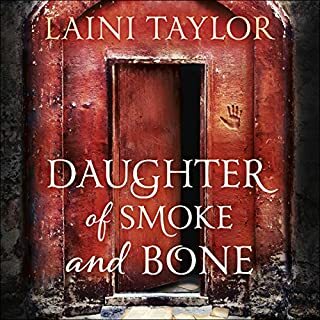 But when an actual stranger, a boy who seems to fade like smoke, appears outside her home on the moor at night, she knows that at least one of these sayings is no longer true. In general, Karou has managed to keep her two lives in balance. On the one hand, she's a 17-year-old art student in Prague; on the other, errand-girl to a monstrous creature who is the closest thing she has to family. Raised half in our world, half in 'Elsewhere', she has never understood Brimstone's dark work - buying teeth from hunters and murderers - nor how she came into his keeping. She is a secret even to herself, plagued by the sensation that she isn't whole. Brilliant... Is too small of a word! 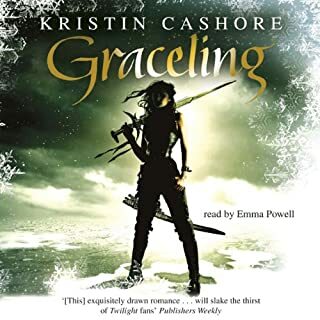 In a world where people born with an exceptional skill, known as a Grace, are feared and exploited, Katsa carries the burden of a skill even she despises: the Grace of killing. 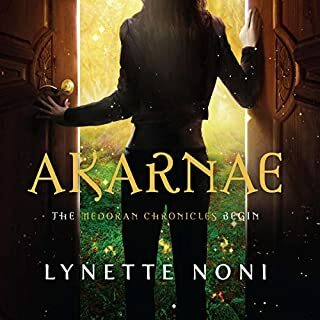 She lives under the command of her Uncle Randa, King of the Middluns, and is expected to carry out his dirty work, punnishing and torturing anyone who displeases him. Breaking arms and cutting off fingers are her stock-in-trade. not suitable for under 15 but amazing story. Alina Starkov has never been good at anything. 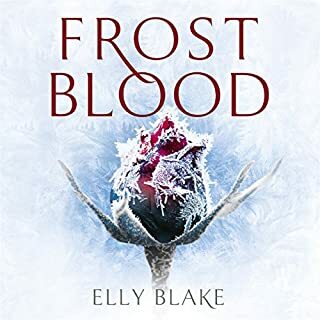 But when her regiment is attacked on the Fold and her best friend is brutally injured, Alina reveals a dormant power that saves her life—a power that could be the key to setting her war-ravaged country free. 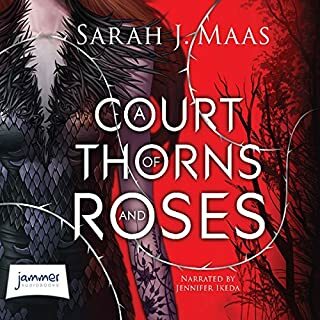 Wrenched from everything she knows, Alina is whisked away to the royal court to be trained as a member of the Grisha, the magical elite led by the mysterious Darkling. Yet nothing in this lavish world is what it seems. 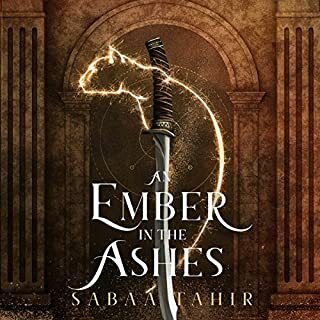 With darkness looming and an entire kingdom depending on her untamed power, Alina will have to confront the secrets of the Grisha… and the secrets of her heart. ©2012 Leigh Bardugo (P)2012 Audible, Inc.
this is a great way to start a fantasy trilogy. Soo good, I really liked the way the story had good character development, enough to keep you engaged with both the characters and the plot. Ready for the next book! Amazing storyline, definitely reading more. The details described is incredible, it takes you another world. I bought this because I'd just finished the King of Scars and enjoyed it so much I wanted to start the series from the start. The author's writing is just amazing, and her themes have me thinking long after I press the pause button, but I was really disappointed with this book *at first*. At the start came across like a teenage romance only it made too much sense for the most part. 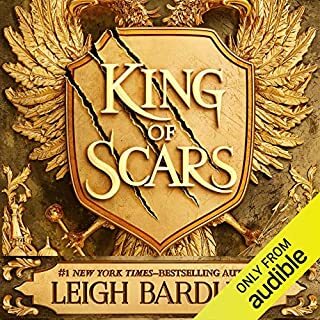 But after the King of Scars, I was pretty disappointed, because it's just not the kind of thing I'm interested in. I liked the fantasy, the world of magic the author has built is really intriguing and thought. I am just not up for the shallow 50 shades of romance thing. At one stage I groaned when a (spoiler I won't give away here) happened and I said that's it, I'm returning it. But everything else about the book was spot on (so don't let my personal opinion about teenage romance hold you back from buying this!) so I decided to give it a few more chapters. I'm SO glad I did! The entire book jumped on it's head, what I thought was happening, actually hadn't been happening, betrayal, fighting and magic and swords and rifles! The pace ramped up so much I found I was often holding my breath. 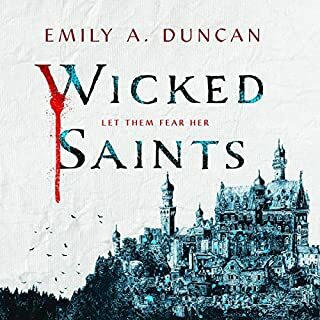 I seriously could not put it down, and the build up I'd rolled my eyes and groaned at, turned out to be like the slow haul at the beginning of a roller coaster, which really, was exactly what this book was like! Oh, and what a beautiful portrayal of real love as opposed to what passes for romance these days. What a ride. Yes, read this book, I say, wholeheartedly. I really enjoyed it and by the end, I finally got used to the way the narrator read the story. It took two books for this to happen though. 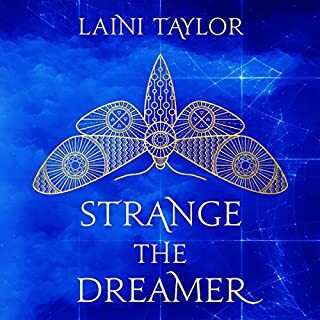 There were just a few ways she intoned things that kind of pulled me out of the story, and/or which I thought didn't suit the character but for the most part she is really, really good to listen to. So yeah! Two thumbs up! I'm stoked to see there is more for me to read in this series! I'm off to get the next book! This is an amazing story that grips you from the beginning, right to the end. I HAD to get its sequel ASAP! Narrator did a great job with doing distinctive voices. 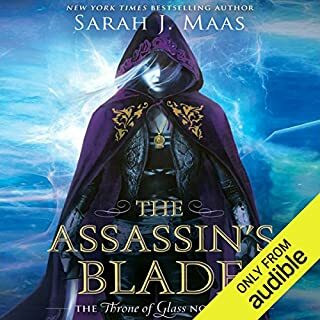 I rarely enjoy one narrator audiobook, but this narrator did the different characters well, that it felt like a full cast. First Bardugo book I've read and if this sets a tone for all her books, I'm definitely a fan! I listened to this book for 9 hours Straight and jumped into the next book Straight away. I got pissed that I had to charge my Iphone during this time because it forced me to have a break. I DO NOT NEED A BREAK. I need this. I love that this book is so well written that I felt like I was there, I felt like I was the hero, I felt the pain and the angst and I love it! Please read this book and get on the train! It was a fast paced story for the most part. Unfortunately really easynto. Guess where it was going. I LOVED Six of Crows and it's sequel. both were amazing. This one just pissed me off. Stupid Girl doing everything they tell her not to. I just wanted to slap her.I got bored at the half way point and almost gave up. Not sure if I will listen to the others. Six of Crows was leagues above this. Oh my god I hate the progression in this book. The main character is a girl with the power of light which is unique to only her but she is so painfully stupid she totally ruins this book for me. She is a train operative but her automatic instinct is to use her power which reveals her identity when she is supposedly trying to keep a low profile. So many parts of this book are molded to fit the storyline but the writer doesn't seem to have a seamless way to bring it together without making all the characters look naive, ignorant idiots. It started out intriguing, but ending towards the end...I was just skipping to get by the over indulgent prose. I don't think I've ever been so disappointed in a book. I was so excited when I started reading it, and the story just got worst and more predictable. There's a lot of books that I've predicted but the outcome still make it fun, but not like this one. Plain characters and I think the villain was the only one I kind of like, but at some point they were a disaster too. Idk what made me finish this book but it wasn't cause it was good. so disappointed. Dont know if I'll read the rest. While I liked the world of the story, I think it would have been better told from an omniscient narrator's perspective because the main protagonist isn't particularly like able. She makes a lot of mistakes but never seems to learn from them. She's suspicious of everyone EXCEPT the bad guys. It's like being inside the head of an acerbic, self obsessed kid, who spends the whole time complaining. An experience not worth repeating for the 2nd or 3rd book. Started off great. Kind of a different story. Lost me at the end. Things happened that didn't make sense. Was kind of frustrating because the build up was pretty good. Then end seemed rushed and not a lot of thought put into it. Kind of how all the new star wars movies are. boring. slow. narrator did alright. i couldnt stay focused on the book while listening to it. I thought that this book would be better. It did have a good ending but her new book, six of crows, was much better. A waste of time and money. Disclaimer: I read the Six of Crows Duology before the Grisha Trilogy. Also, I do not tend to read young adult fantasy very often. After completing the Six of Crows duology I was very intrigued by both the world and character development that Bardugo showed me in those two novels. 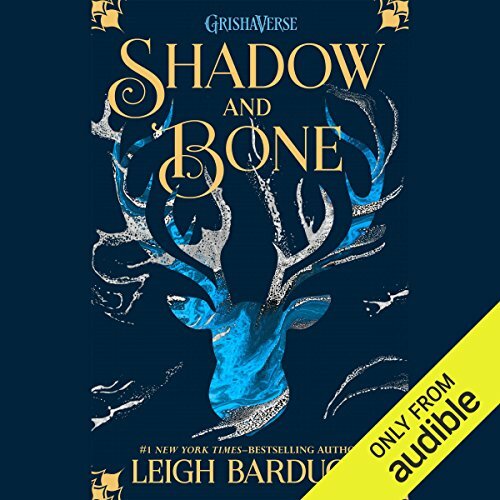 I had heard rumors that this duology was better than her Grisha Trilogy and as far as Shadow and Bone is concerned I have to agree. Lets start off with the good. I enjoyed Bardugo's world building for the most part. She does a good job of creating an interesting landscape and showing us a very convoluted magic system. The word convoluted is important though, because I feel as though the boundaries of the magic system are very loose and many items are not explained in enough detail for my taste. I was often confused as to how powerful the magic that is used actually is, at one point you have a single Grisha (magic user) killing multiple people effortlessly, but then at other times common soldiers are able to overcome a Grisha and simply dodge their magical abilities. Therefore, there is definitely a magic system consistency problem, but this isn't uncommon among high fantasy novels. The other element that Bardugo succeeds in some degree at is her character development. 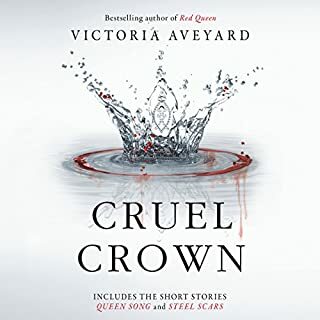 She really does do a good job at showing real emotions from her characters and making their personalities individualized and believable, although they lack the same flare and interestingness as her Six of Crows characters. However, the main problem with the characters for me was Alina herself, who I generally found a little obnoxious, naive, and very resistant to change. She really did annoy me especially for the first half of the book, although she did improve as the book went on. The main problem I had with this novel is the plot is a little generic, and really lacks any flare or twist that really jumps out at you. In comparison with her duology the plot seems incredibly simplistic, and the rest of the book suffers for it. Just a quick note on the narrator, I thought she gave a decent performance, but I did feel she lacked range of voices to some degree, and she worked a little hard on her accents, which came off as a bit ridiculous at times. In conclusion, I put this novel down to first novel inexperience, and it was just good enough for me to buy Siege and Storm. One final thought: Ms. Bardugo is far better at writing in several points of view as opposed to singular first person. I picked up this book for its fantasy elements – Shadow and Bone introduces us to a divided country called Ravka, besieged by the myth and magic. Leigh Bardugo’s vision for Ravka felt wonderfully cohesive – with Russian sounding place names and slang, and good explanations were offered for the Shadow Fold and other anomalies. Alina’s ‘narration’ was full of personality and wit, and terms like “miserable oaf” leap off the page. I liked Alina although at times she lacked confidence. Mal’s character was initially presented as a womaniser and it wasn’t until the last third of the novel that I started to warm up to him. The storyline throws you a few curveballs, which was a great surprise. These stopped the story from coming across as too sedate (despite it’s slow, plodding pace) and leant depth to the novel. I enjoyed the hints of romance and the scattering of action sequences, but it was the lack of certainty which really kept me on my toes. 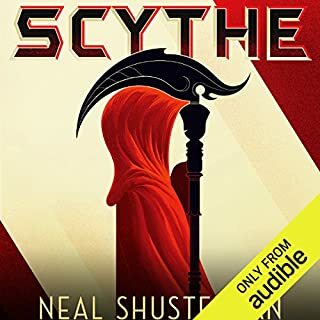 I was lucky enough to receive a copy of this via Netgalley but I actually read (listened) to this on audible. 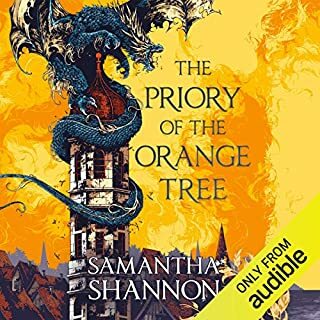 I sign up to a lot of blog tours and I end up pausing some books half way through so I can meet blog tour deadlines (totally going to be more organised next year) but I have found I can listen to books while I do other things like getting ready for work, driving, washing up etc so I actually listened to this one instead of reading the netgalley copy. 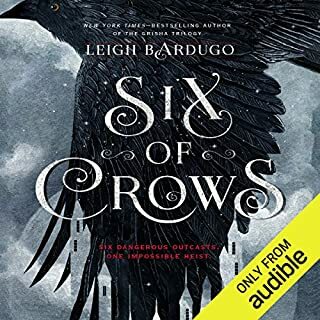 I was actually going to listen to Six of Crows as it had a full cast but I found out that the two series were related and this book was chronologically first. 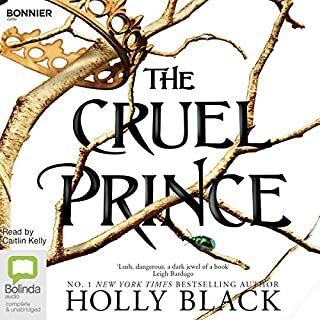 A lot of people said it was fine to listen to Six of Crows first but I'm a bit of stickler for that sort of thing so I went for this book (and the rest of the trilogy first) I am actually glad I did it that way round because there's a lot of world building that is in Shadow and Bone which I think you are expected to know when you read Six of Crows. I found Alina a realistic character for one in such a made-up world. She is your average girl. There's nothing special about her. She is in love with her best friend who doesn't realise it and carries out her day to day chores and roles. I know a lot of people don't like Alina but I found her character intriguing because she was such an average girl before she discovers that she's actually grisha. Once Alina's true identity is discovered she meets The Darkling. Essentially the leader of the grisha. I had a love-hate relationship with The Darkling. There is something so appealing about him that you want to like him but you just know you shouldn't. He's also a great character to quote. Leigh did an amazing job with the world building in this book. I believe it is inspired by Russian history. I am not big on history but Leigh did such a good job of pulling me into the world that it really didn't matter. Everything you need to know Leigh will tell you. Piece by piece. This was a great start to the series that will have you gasping in shock, sitting on the edge of your seat in suspense and screaming in anger. As soon as I finished this one I had to start Siege and Storm because I knew I had to be back with these characters again. A good beginning and a promising setting, but the characters are a bit feeble and something was lacking. I thought this book might be a complete disaster on the first half but I still managed to come through to the end and my impression has improved a bit. If you're looking for some light romance, then this might be to your taste. Really enjoy the story. Was hoping that each character to portray in a suitable voice or sound. Good story but performance was missing something. I enjoyed the story...I think. I felt that the reading was lacking. I think a story that has such action needed a more dramatic reading. Very interesting world and captivating plot but at times was predictable. The Narration was weird sometimes couldn't tell when the protagonist was speaking or thinking as the narrator used the same voice. Sometimes had strange moments where they sounded like a different recording partway through narration like it's been edited. Also found it strange that a lot of the characters from the same country spoke with American accents (often the main characters) but some of the people then spoke with Eastern European accents and a lot of the words sounded Eastern European. The narrator should have gone all the way with the accents or not at all. Don't get me wrong I would read this again but I wouldn't listen to it again. I would still recommend it. 5 stars, so many twists,did not see coming!! MUST READ. Took me a while to get into it and get used to the language etc as many of the words sound Russian etc but after maybe 3/4 chapters I was throughly caught in the story hook line and sinker. one of the BEST YA books I've come across in a while I bet this little universe will become a favourite 5*!! So I did finish this book but I wasn't overly impressed. It's seem to have the potential to be an epic story but didn't follow-through. It didn't go into enough detail about the back story of the characters and I didn't feel like I cared about them either. There are other books in the series but after finishing the first one I don't think I'll be downloading them. If you want to easy-going book to listen to them it's perfect but other than that I wouldn't recommend it. awful. 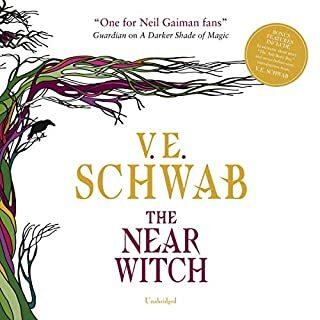 I couldn't wait for it to finish, I love reading and listening to books but this one was dreadful, story was bad and the reading was soul destroying I hope I don't go through that again!!!!! !